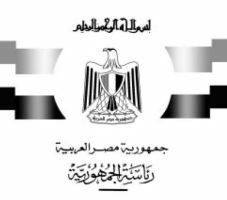 In conjunction with The Arabist website, Industry Arabic has released the first available English translation of the Egyptian Supreme Constitutional Court's ruling issued in mid-June 2012. The legal ruling was significant in that it disbanded the elected Egyptian parliament on the grounds that the 2011 electoral law excluding former NDP members from running was unconstitutional. The ruling also cleared the way for former Egyptian Prime Minister Ahmed Shafik to stand in the presidential elections, arguing that a ban on former NDP members was also unconstitutional. On 21 February 2012, the court clerk received Supreme Constitutional Court Appeal File No. 6414/58, after the Appeals Division of the Supreme Administrative Court, in the hearing convened on 20/2/2012, ruled to refer the case to the Supreme Constitutional Court to decide on the constitutionality of Article 3, Paragraph 1 of Law No. 38/1972 concerning the People’s Assembly, which was replaced by Decree-law No. 12/2011, and Article 6, Paragraph 1 of said law, which was replaced by Decree-law No. 108/2011, and Article 9 bis of the aforementioned law, which was supplemented by Decree-law No. 108/2011. The State Cases Authority submitted a brief in which its primary request was for a ruling that the Court lacks jurisdiction to hear the case, and its alternative request was that the Court not accept the case, and as a secondary alternative request, that the case be dismissed. If you’re ready to begin or discuss a translation project, just press the button below for your free translation quote. We strive to get to get a personalized project quote back within 30 minutes during normal business hours (Monday – Friday 8-6 EST).